The Next Generation of Clean! What is a Steam Cleaner and How Does it Clean My Carpets? Carpet steam cleaning has become one of the most popular methods for refreshing and renewing carpets in both residential and commercial settings. Steam cleaning is an efficient and effective method that relies on the natural cleaning powers of steam, reducing reliance on harsh chemicals. Understanding the details of what a steam cleaner is and how it works to deep clean your carpets can help you decide whether steam carpet cleaning is right for your home or business. What is a Steam Cleaner? Steam cleaners are designed to produce ‘dry’ vapor steam to help lift dirt and stains, remove buildup, and sanitize hard and soft surfaces. Steam cleaners consist of a boiler, tank, detergent compartment, steam vacuum, refill, and accessories like brushes and attachments. Water is heated in the boiler to create steam under high heat and pressure. During cleaning, steam may combine with detergent from the detergent tank for added stain removal and cleansing. Industrial level steam cleaners may also include a steam vacuum that automatically removes the contents into extraction tanks, which significantly increases the efficiency and productivity of the steam cleaner. Steam cleaners also often have a refill tank which is a non-pressurized tank that water can be added into while the steam cleaner is still running. Industrial steam cleaners have automatic refill that provides a direct water feed to refill the steam cleaner as it’s running. How does a Steam Carpet Cleaner Work? to 360 degrees F and low pressures up to 150 psi, steam cleaners are effective at removing build-up, dirt, stains, pathogens like viruses, bacteria, mold, and allergens. During steam cleaning, steam vapor penetrates deep into carpet and surrounds carpet fibers to help soften and loosen dirt and shift old stains. Then the vacuum component of the steam cleaner applies pressure to lift away the moisture along with the germs and dirt, for fresher, cleaner carpets. By using steam, every inch of the carpet can be cleaned efficiently, as the steam quickly penetrates the carpet. Because minimal moisture is left when steam cleaning is professionally conducted, carpets dry quicker after steam cleaning, eliminating the risk of mold or mildew. What are the Benefits of Steam Cleaning for Carpets? Steam cleaning is the most effective method for deep cleaning carpets to remove inground dirt and dust, old stains, and most importantly disease-causing bacteria, viruses, fungi, mold, and allergens (like dust mites and pet dander). Steam cleaning is so effective it makes your carpets look like new and helps them to last longer, improving the comfort and value of your home. Carpet steam cleaning also helps to clean the air in your home as it effectively removes allergens from the carpet, which helps reduce allergies and breathing difficulties for sensitive occupants. Steam carpet cleaning provides deep cleaning, but it is also safe for your carpets keeping them in top condition. >> Need a Carpet Cleaning Company? Here Are 5 Important Things to Consider When Picking a Carpet Cleaning Company! Steam carpet cleaning is a must for anyone thinking of selling their home, looking to improve the health or appearance of their home, or for homes that haven’t had a professional carpet clean in over a year. 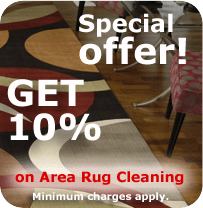 Regular carpet steam cleaning maintains healthier, cleaner and safer carpets while preserving the value and attractiveness of your home or office.